Douglas M. Lurio focuses on corporate and securities law. His practice includes securities regulation, corporate financing, venture capital, public offerings, private placements, and mergers and acquisitions. He has handled substantially all aspects of securities law, including representing public and private companies and compliance with the Securities Act of 1933, the Securities Exchange Act of 1934 and various state securities laws. Mr. Lurio also has expertise in the areas of real estate and estate planning and administration. Following Mr. Lurio’s graduation from Villanova University School of Law in 1981, he served as the law clerk for Judge William T. Nicholas of the Court of Common Pleas of Montgomery County, Pennsylvania. Before founding Lurio & Associates in 1991, Mr. Lurio was a Partner at Dilworth, Paxson, Kalish & Kauffman in the Corporate and Securities Department. Mr. Lurio has been a Chairman of and a presenter at the seminar Private Placements of Securities which has been held annually since 1996 and which is sponsored by the Pennsylvania Bar Institute. He also served as Chairman of and was a presenter at Techniques for Growth and Survival which was sponsored by Temple University’s Entrepreneurial Institute, and Financing for Growth which was sponsored by the Philadelphia Bar Association. Mr. Lurio is a Designated Advisor for Disclosure (DAD) to the OTCQX trading market. Mr. Lurio is admitted to practice law in Pennsylvania and Florida and his current professional memberships include the Bar of the Supreme Court of the United States, Supreme Court of Pennsylvania, Supreme Court of the State of Florida, Tax Court of the United States, and Philadelphia Bar Association. Mr. Lurio serves as a Director of private and public companies. He has served on the Leadership Council of Franklin & Marshall College and The Benefactor Society Board of Directors of The Franklin Institute, Philadelphia, Pennsylvania. 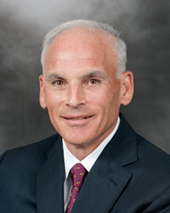 He is the former Chair of the Philadelphia Bar Association’s Committee on Sole and Small Firm Practitioners. Mr. Lurio was also a member of the Board of Advisors of Temple University’s School of Business and Management – The Entrepreneurial Institute. Mr. Lurio is the former President of the Philadelphia Squash Racquets Association and a former member of the Board of Governors of The Cynwyd Club, Cynwyd, Pennsylvania.